Dr. Hampshire proudly joins CardioMed Medical Device Consultants as an affiliate preclinical consultant. 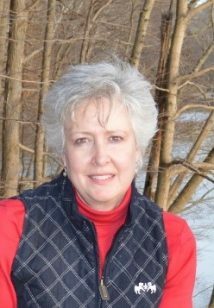 She is the President of Capital Preclinical Scientific Consultants, LLC; a niche preclinical consulting entity she founded in July 2015 upon retiring at the rank of Captain after 27 years of federal service as a United States Public Service Veterinary Officer. Dr. Hampshire is a 1988 graduate of the University of Pennsylvania Veterinary Teaching Hospital. During her federal career, Dr. Hampshire spent a decade managing large animal research models at The National Institute of Health following that with 17 years of US Food and Drug Administration in leadership and review roles; principally at the Center for Devices and Radiological Health Office of Device Evaluation Division of Cardiovascular Devices. Dr. Hampshire simultaneously maintained her clinical skills by weekend and after-hour moonlighting in busy metropolitan area veterinary hospitals. She is the author of more than three dozen peer-reviewed papers ranging from biomedical research models to ethics of animal use in biomedical research and Agency guidance on animal models for medical devices, several book chapters on animal care and use and animal drug safety, and agency guidance related to food and drug topics. Dr. Hampshire also the recipient of a continuous stream of USPHS veterinary awards including the prestigious Veterinarian of the Year Award.